Infrared thermography is a non-contact and non-destructive technique for electrical equipment monitoring and fault diagnostics. It has been widely used since it can inspect the condition of electrical equipment and detect possible faults without needing to disconnect the equipment from its normal operation. Fault diagnosis is performed through the analysis of thermal images captured by a thermal camera. Manual analysis of thermogram for diagnosing the status of equipment needs to be carried out by a trained personal and this may take a lot of time. It may also prone to human error in the diagnosis. To overcome this, there are several researches focus on the development of methods for automatic electrical fault diagnostics. Most of the methods combine image processing and computational intelligence techniques in the diagnosis. Due to the large variability of equipment and diverse fault conditions, the diagnosis task could be very challenging. There are different techniques being proposed in the literature. This paper presents a survey on the current techniques for automatic electrical fault diagnostics based on infrared thermography. 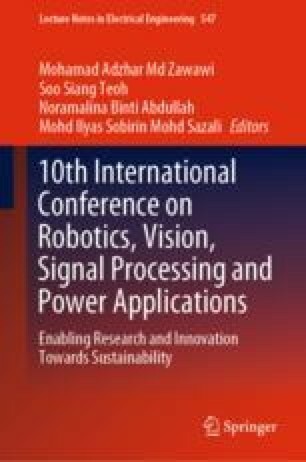 This research was supported by Universiti Sains Malaysia Research University Grant (RUI 1001/PELECT/8014053) and Bridging Grant (304/PELECT/6316118).